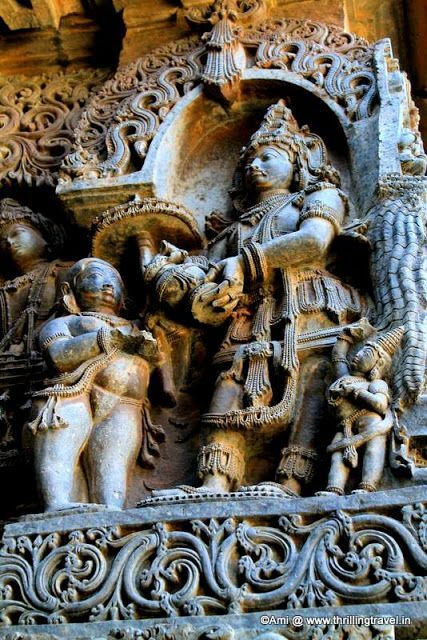 Thread by @shrikanth_krish: "Today is Deepavali - the most popular festival in the Indian calendar While many legends are associated with the festival (Narakasura, Bali, […]"
So it is worth our while to revisit Valmiki Ramayana and understand how Rama reacted to his homecoming. Was he stoic? Was he indifferent? Was he excited? He is not jaded by his own perfection. Far from it. ""O Seetha! Look at the City of Lanka, resting firmly on the mount of Trikuta, looking like a peak of Mount Kailasa and built by Viswarakarma, the universal architect."" "O Seetha! Look at this great battle-field, covered with a mud of flesh and blood as also a cause for the death of monkeys and demons." "O the large-eyed Seetha! Here lies Ravana, the king of demons, the tormentator of people, on whom boons were conferred by Brahma and who was killed by me for your sake." "Here, Kumbhakarna and Prahasta the demon were killed. Here, Dhumraksha was killed by Hanuma, the monkey." "Here was Vidyunmali killed by the great-souled Sushena and here was Indrajit, the son of Ravana, killed by Lakshmana in a combat." 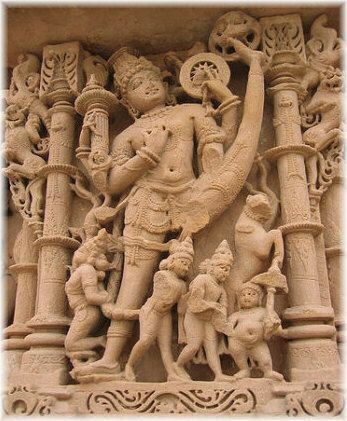 "Both Yuddonmatta and Matta, the foremost of demons, as also Nikumbha and Kumbha the sons of Kumbhakarna, as also the strong Vajradamshtra, Damshtra and many demons were killed. Makaraksha, the most difficult demon to be attacked, was struck down by me in this battle-field." And having shown all the places of battle, Rama now delights in sharing with her his great experiences in this remarkable adventure. "O Seetha, the lovely-faced one! Here is seen a water-descent of the ocean on the sea-shore, where having crossed the ocean, we spent that night." "O the large-eyed Seetha! Here is the bridge called Nala Setu, which was so difficult to execute for others, got built by me over the salt-sea for your sake." Then the aerial car halts for a while in Kishkinda (presumably in the Deccan). Rama is still very keen to share! He doesn't slouch in a corner and rest. "O Seetha! Here is seen Rishyamuka, the excellent mountain, endowed with layers of gold and looking like a cloud with lightning." "Here is seen Pampa-river, abounding in lotuses and edged with colourful groves, where I lamented with great pain, having been separated from you." "The virtuous Shabari was seen by me at the bank of this river. Here was killed, Kabandha, having arms, a Yojana (eight miles) long." ""And over there is seen in the forest of Janasthana, O Seetha, that illustrious tree under which the highly brilliant and mighty Jatayu, the foremost among the birds, was killed by Ravana, for your sake, O sporting lady!." "O Seetha! Here is seen that Capital City of my father. O the princess of Videha territory! Having duly returned, offer your salutation to Ayodhya." Now why is all this worth narrating ? We tend to become jaded as we go through life. We rely a great deal on our powers of "Reason". And in the process, we tend feel ashamed about revealing our softer side. There is much we can learn from his humanity. The party in due course lands in their destination. It is an occasion to meet and gree near and dear ones after 14 years. Here again it is worthwhile noting the exchange between Rama's great brother Bharata and Rama when they meet. "Having offered his salutation with joined palms, Bharata spoke to Rama as follows: "This entire sovereignty of yours, kept with me as a deposit, is being returned to you, by me." "My life has accomplished its purpose today and my wish too stands fulfilled, in that I see you, its king, come back to Ayodhya." "You review your treasury, granary, palace of your spirit, everything has been enhanced tenfold by me." That last shloka is remarkable. Notice the eagerness to show Rama the outcomes of his personal diligence and austerity over the past 14 years. The eagerness of a trustee. This is again very human. These are great individuals who reveal their humanity, and are not ashamed of it. They are not "smartass" people trying to look "cool". They are one of us. It is a day to celebrate passion, drive, eagerness, love, pride, solicitude - all those extremely human traits that we tend to often feel ashamed of in these mechanistic times we live in. Came across an essay on him by Mysore Hiriyanna that sheds some light on his masterpiece - "Uttara Rama Charita"
Did the makers of modern India provide "proper philosophical explanations" to justify their choice of "universal adult franchise", or "westminster-like parliamentary system" when they wrote the Constitution? Eg - Why did we not opt for a phased transition to universal franchise? Why did we not consider an upper house similar to the American Senate with direct elections? Why did we end up with a sinecure "President" as head of state? Today I will tell you a story of an Indian Company, which is making it's name in a Domain where Indian Companies used to be considered as Non-Players. Recently I read a news, which was extremely important, but don't know why Indian Media didn't give it any coverage at all. 2)The news is..America floated a tender for maintenance & services of its Navy's 7th Fleet,which monitors entire Asian Ocean Waters.This is an important Fleet as it contains more than 100 Vessels,&the maintenance used to be handled by Singaporean & Japanese Defence Organizations. 3)This was a Huge order worth Rs. 15000 Crores ( more than 2 Billion USD) for 3 years.& you will be elated 2 know that an Indian Organization clinched this deal. 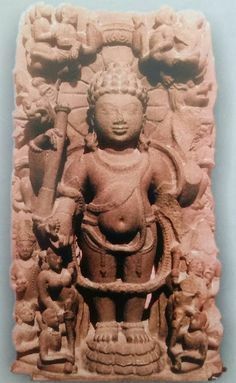 Today is Vamana Dwadshi, the day Bhagwan Vishnu incarnated as a midget brahmin to tame the inflated ego of King Bali, grandson of Bhakta Prahlad and the erstwhile ruler of the three lokas. Read the story in the poetry thread that follows. The idea stems from the stages of life of a vedic householder, as well as the legend of the original compiler of the vedas, Veda Vyasa, who divided them into 4. North African food: A thread. • Koshary / كشاري - is an Egyptian dish made of rice, macaroni & lentils all mixed together & topped with spicy tomato sauce & fried onions. • Couscous - is a Maghrebi dish made of small steamed balls of semolina with a soup of veggies. it varies from 🇱🇾 to 🇹🇳 to 🇩🇿 to 🇲🇦.